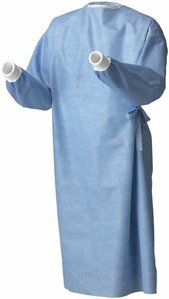 These Isolation Gowns are made of high-quality fluid resistant spun-bonded material and are Latex Free. High visibility yellow. Elastic cuffs to provide a snug fit under gloves and are full length which provides maximum coverage. Elastic cuffs to provide a snug fit under gloves, Sewn seams provide superior strength These are Latex Free. 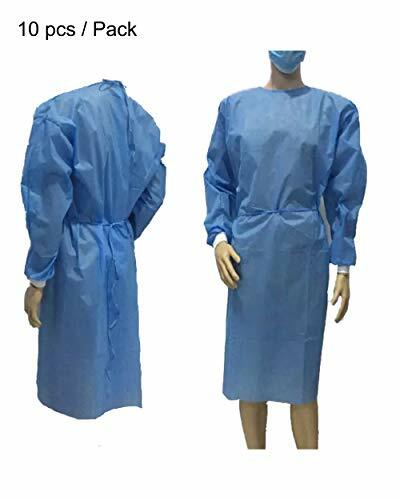 These Blue Disposable Isolation Gowns are Great for Doctors, Medical Laboratory's, Crime Scenes and Forensics, Dentists, Pharmacy, Science Projects at College Campus, Painting and Kitchen use. Full length Green Disposable Isolation Gown for maximum coverage. This Disposable isolation gown offers economical, comfortable and reliable protection. Sewn seams provide superior strength. Extra length on waist ties allows gown to be easily secured in front. Elastic cuffs. They are Latex free. 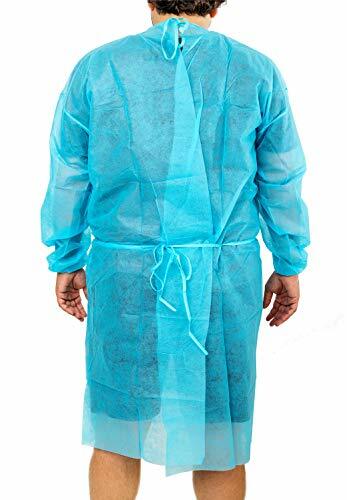 These Green Disposable Isolation Gowns are Great for Doctors, Medical Laboratory's, Crime Scenes and Forensics, Dentists, Pharmacy, Science Projects at College Campus, Painting and Kitchen use. Full length Pink Disposable Isolation Gown for maximum coverage. This Disposable isolation gown offers economical, comfortable and reliable protection. Sewn seams provide superior strength. Extra length on waist ties allows gown to be easily secured in front. Elastic cuffs. They are Latex free. These Pink Disposable Isolation Gowns are Latex Free and are Great for Doctors, Medical Laboratory's, Crime Scenes and Forensics, Dentists, Pharmacy, Science Projects at College Campus, Painting and Kitchen use. 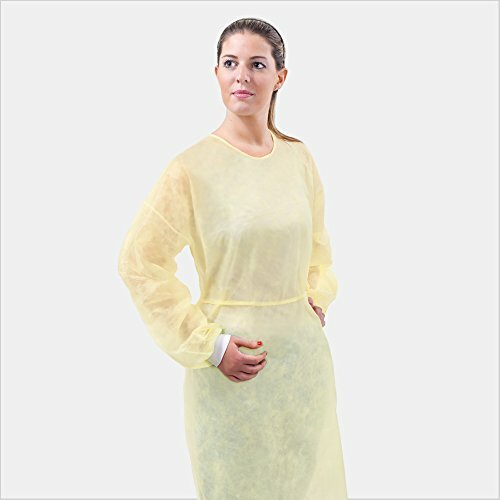 Full length Yellow Disposable Isolation Gown for maximum coverage. This Disposable isolation gown offers economical, comfortable and reliable protection. Sewn seams provide superior strength. Extra length on waist ties allows gown to be easily secured in front. Elastic cuffs. They are Latex free. 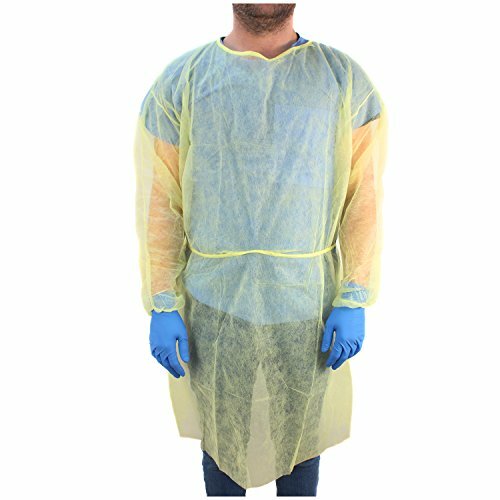 These Yellow Disposable Isolation Gowns are Great for Doctors, Medical Laboratory's, Crime Scenes and Forensics, Dentists, Pharmacy, Science Projects at College Campus, Painting and Kitchen use. 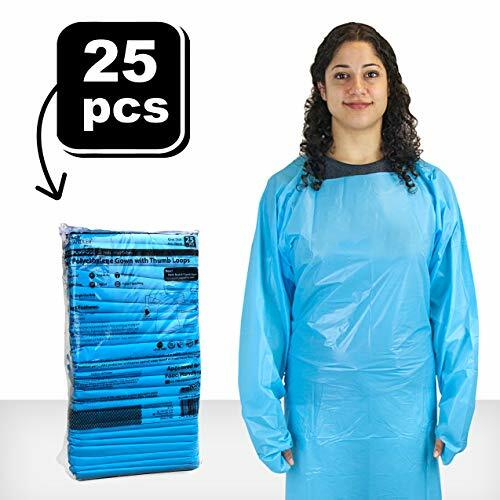 These durable high-quality isolation gowns in a vibrant blue are the ideal solution for healthcare and occupational safety overwear. 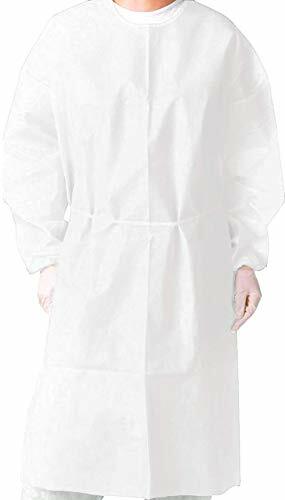 Made with a durable, spun-bonded polypropylene material, these gowns won't easily tear and are coated with polyethylene to make it liquid resistant. Everything under the gown will stay clean and dry. The gowns are one-size-fits-all and are fitted with elastic cuffs and have waits and neck tie closures for adjustable fits. The quality and durability combined with the savings PrimeMed has to offer is only available on Amazon through My Medical Warehouse. Astound surgical gown's lightweight fabric and outstanding barrier protection are designed for the demands of today''s clinical workplace. 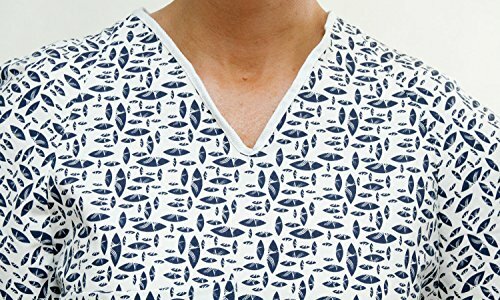 These gowns are standard to meet most protection needs in the OR. Standard gowns are classified as AAMI Level 3. Long sleeves and a full back for complete coverage, Knitted cuffs for enhanced comfort . Produced in facilities with strict quality management systems that meet or exceed all industry standards (GMP, FDA, ISO and etc.). 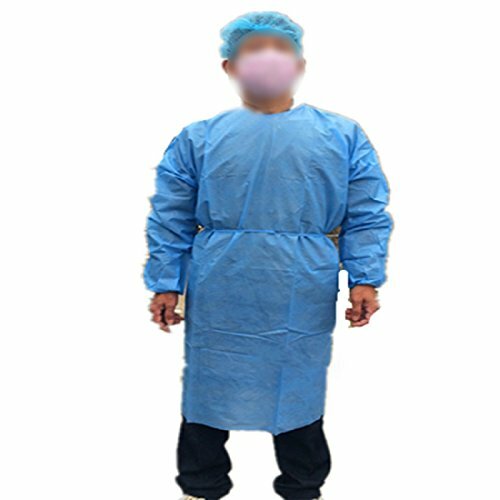 Brand: TRONEX | Manufacturer: Tronex International, Inc.
Safety and sterility are the cornerstones of high-quality procedures - our Disposable non-Woven Isolation Gowns with Elastic Cuffs. 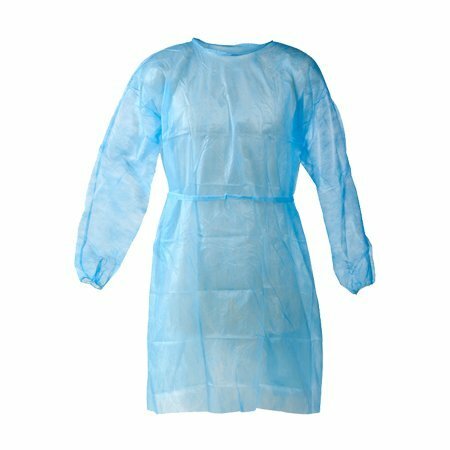 Cover Gowns provide the patient protection from sprays, splatters, and small particles during procedures and exams. The gowns are made from a breathable non woven material in order to prevent hot temperature build-up and comfort. Exclusive cross-back design with a buckle fastening system, handcrafted with strong impermeable coated nylon strong and more comfortable than rubber or vinyl. All with zippered pockets , plus many utility slots , PU leather reinforcements, and split-leg allowing you to move freely with style. It comes with 2 loops so you can hang whatever you want, plus phone, pen, and 2 big zippered protected pockets to help you reach your tools effortless. We recommend our aprons for people between 5 2 and 6 5 tall (1.57 m - 1.95 m) , with a waist size between 25 in and 45 in (62 cm - 115 cm) . Doesn t matter if you are a barber, hair stylist, makeup artist, dog groomer, tattoo artist, bartender, butcher, brewer, chef, cook, dishwasher, brewer, artist, bartender or mixologist. Our aprons are cut to perfection to fit most bodies and activities. 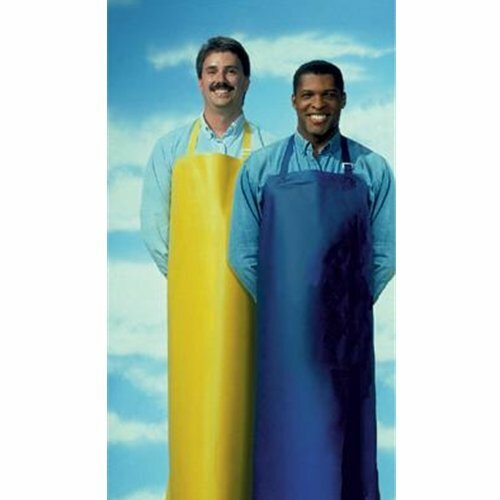 This apron is tough yet easy-care most situations you can just wipe it clean. For machine washing: Wash in warm or hot water adding half a cup of baking soda to your normal amount of detergent. At the rinse cycle, add half a cup of distilled white vinegar. No need for spin cycle and do not tumble dry. CROSS-BACK, HANDCRAFTED, DURABLE QUALITY - This apron is handmade with chemical proof impermeable heavy-duty yet lightweight Nylon, reinforced with PU leather, 100% nylon straps, double stitched utility pockets, and thick top and bottom hems for strength and structure. Plus, Prevent neck pain with our adjustable Cross-Back strap design, Zipped pockets to keep your things dry and protected, and Split-Leg to allow you to move with ease. COMFORTABLE NO-TIE EASY-FASTENING DESIGN - This apron is perfect for you who doesn't like ties or bows: it comes with a buckle fastening system, so you can close it in a snap. It's also fully adjustable, and its coverage goes from chest to knee with split-leg, and is 27 wide x 35 tall (66 x 90cm) and fully adjustable for unisex sizing, from 25 up to 60 inches (64 - 153 cm) waist. PROFESSIONAL STYLE - This apron is a true workwear, fitting most bodies and activities, offering you great comfort, durability and functionality. It has clean design, with many utility pockets: easy access phone and pencil pockets on the front chest, and large hand pockets to fit all the tools and accessories that you need. Sleek green apron for a professional look, and functional & stylish gun-metal hardware. 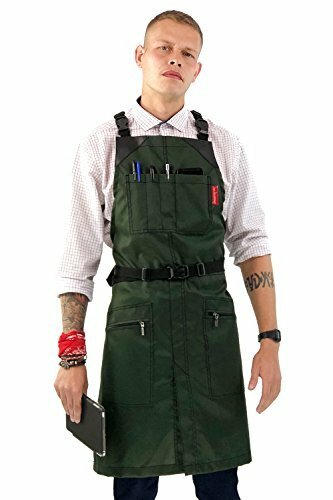 PERFECT FOR EVERY OCCASION - Professional apron with utility pockets, cool apron style and coated protection for barber, tattoo artist, colorist, hair stylist, hairdresser, makeup, pet groomer, butcher, florist, bartender, mixologist, gardener, brewer, art school, beauty parlor, barber shop, hair salon, hair cutting, styling, coloring, dyeing, mens, womens, pro apron, aprons for men and women, uniform, bib. WE STAND 100% BEHIND OUR PRODUCT - In the unlikely possibility you don't like your apron, just send it back and we'll refund your purchase, hassle-free. And if you need new clasps, straps or any small fixing, send us an email, it will be a pleasure to help you. This product is a one-time use. Safety and sterility are the cornerstones of high-quality procedures - our Disposable non-Woven Isolation Gowns with Knitt Cuffs. 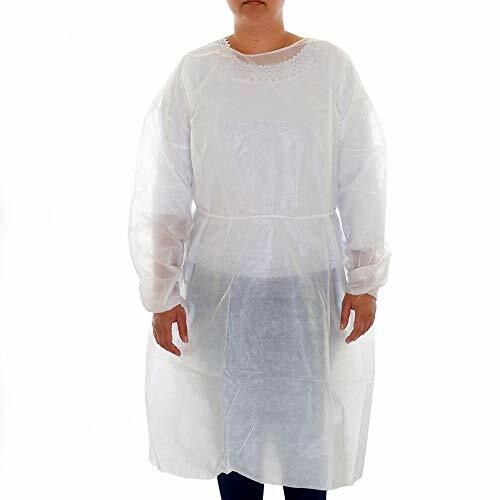 Cover Gowns provide the patient protection from sprays, splatters, and small particles during procedures and exams. The gowns are made from a breathable non woven material in order to prevent hot temperature build-up and comfort. Lightweight fit and feel with superior cut protection. Intercept Technology with DuPont Kevlar Stretch Armor exclusively from Ansell offers enhanced cut protection, reduces the risk of injury and related expenses. The high cut protection increases worker confidence and morale when handling sharp objects. Size: 48 long., 65.5 sweep, 4.3 oz. Disposable White Isolation Gowns are made of a fluid-resistant material with sewn seams and ties at the neck and waist. These lightweight, white gowns are full length, are latex-free, and have a full back and elastic cuffs. The gowns come in a universal size that fits most adults. About Dealmed Medical: Dealmed Medical is a leading Medical Supplies Manufacturer and distributor in the USA. All products are manufactured to a higher standard than most other manufacturers in our industry. Dealmed products represent over 80 years of quality and innovation trusted by healthcare professionals around the world "
HIGH QUALITY: Our Dealmed Brand Isolation Gown is constructed of impervious poly-coated material. They're breathable, flexible and strong enough for tough tasks. PERFECT FIT FOR ALL: Dealmed universal fit isolation gowns are uniquely and purposely designed with extra length on the waist ties to give confidence to the patients and nurses.